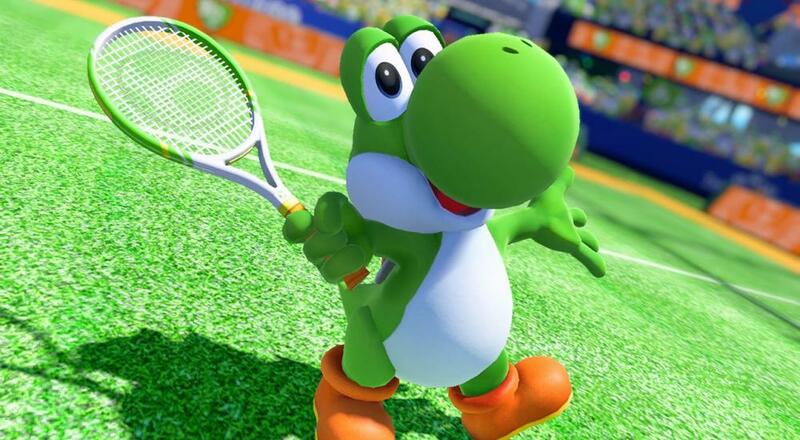 There has been a relative dearth of solid sports titles from Nintendo in recent years, meaning we must savor every last morsel of that which is available, namely Mario Tennis Aces for the Nintendo Switch. 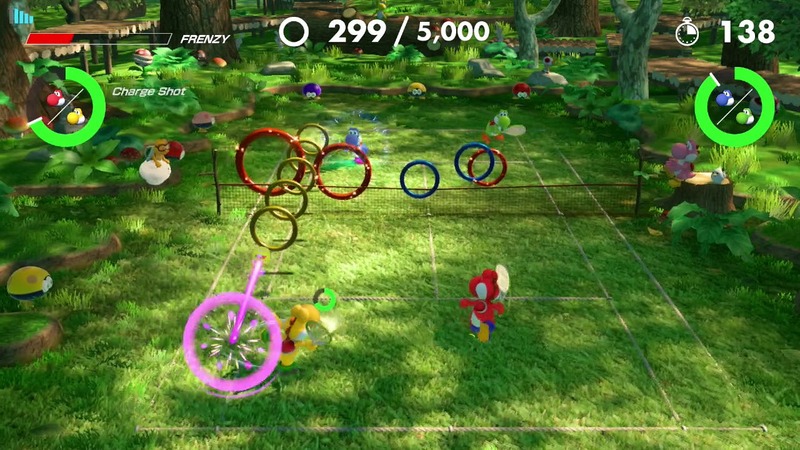 The latest entry in Nintendo's classic tennis franchise came out in June of last year, and the developers have been maintaining a steady schedule of updates ever since. Update 3.0, which arrived April 15th, has permanently added the "Ring Shot" mode as well as an update to the appropriately titled "Yoshi's Ring Shot" co-op challenge. "Ring Shot" challenges players to volley shots back through a series of rings and get as high of a score as possible within a certain time limit. The co-op version, which is available until June 1st, is largely similar, with the exception being that four times as many points are awarded for volleying through rings of the same color as your specific Yoshi. "Yoshi's Ring Shot" can be played in local co-op by up to four players, and completing the mode's various objectives will unlock three new colors for Yoshi (or three Yoshis of different colors, depending on how you look at it). Other changes have arrived with the update as well, such as a brand new intro cinematic for the game's Adventure Mode, new Settings options, and a bevy of tweaks to the game's characters and Shot System. The full list of changes, as well as instructions on how to update the game, can be found here. Page created in 1.3379 seconds.